Why Are Short Films Awesome? Our attention span has grown shorter and shorter the more we spend our time online, as we are inundated with streams of ads, and non productive stuff. Hence, a short film is a big welcome to an otherwise feature length film which we can “never seem to find the time to watch”. Short Films are awesome as they easily catch our attention, holding it for the duration of the film, not letting us go. Check out the inspiring short film by 1st Runner-up, Muhammad Irfan bin Muhammad Nizam for the Open category in the Ipoh Parade Youth Short Film Festival below. 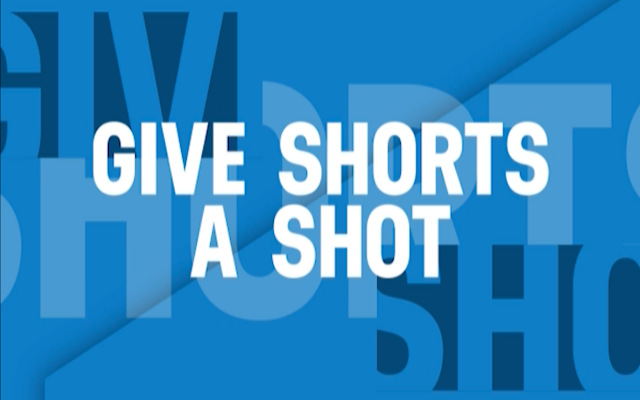 Short films or shorts can be categorized as films which have a running time of 40 minutes or less, which are just perfect to showcase what needs to be shown. Inspiring contents, especially those who take effort into incorporating good values, and the love for our country Malaysia. 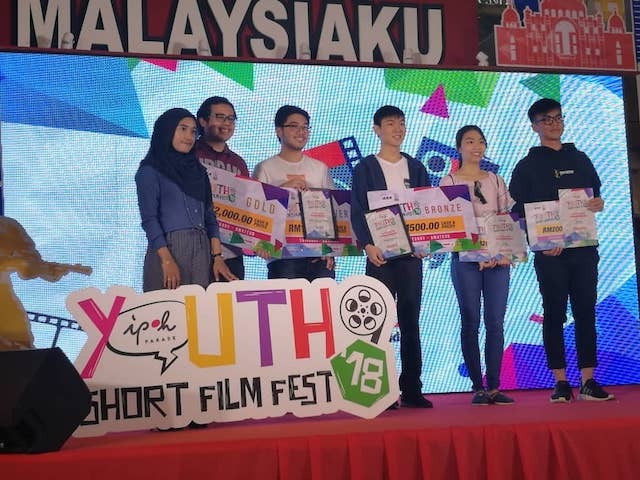 This was exactly what Ipoh Parade’s Youth Short Film Festival aim to showcase, bringing out and celebrating the talents of young and aspiring filmmakers in Malaysia. Read on! It was an awesome event! Malaysia Day 2018 just passed, when everyone’s celebrating and being all patriotic and all. Did you know earlier this month, Ipoh Parade held a Youth Short Film Festival? It happened on 2nd September, 2018 to be exact. It’s a great platform for young aspiring filmmakers to showcase their talents. Short films, even some insta videos, you have to catch it to appreciate the effort being put in! Some may look simple, yet all are pretty inspiring, especially when you get the concept behind the film. Check out the winner list for Ipoh Parade Youth Short Film Festival 2018 below. Some more videos to watch above and below. 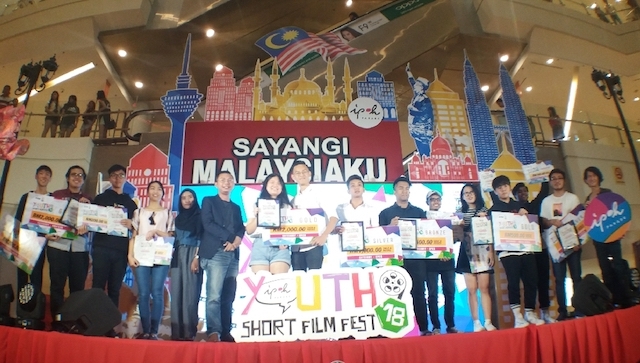 Consolation prize winner for the Open category, Soong Kah Yan and Muhammah Hakim Bin Hasnan in the Ipoh Parade Youth Short Film Festival.